Madie Receives Award, a photo by Pastor Lake on Flickr. Madie received today the Student Achieving Excellence award presented to her by a member of the school board and Dr. Don Stockton the Superintendent. I only got to be there because I happened to go to library for a cup of coffee. 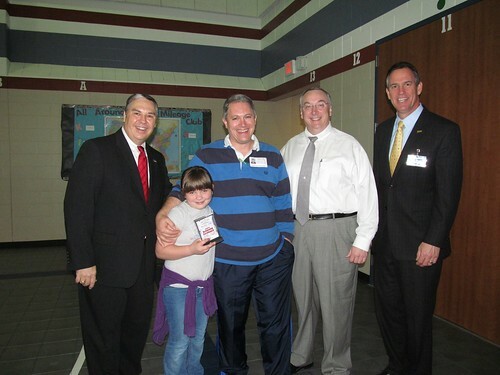 Pictured above on the left is Mr. Ray Sanders A member of the Conroe ISD, Madie Lake, Me (dressed in only my finest work out apparel), the principal Mr. Victor Uher and the Superintendent Dr. Don Stockton.